Arranged for a variety of ensembles, the music features parts for cantor and choir, keyboard, guitar, strings, trumpet, flute and percussion. Remastered for the highest quality sound, this classic collection -- Father Fabing's first -- is now available on CD. 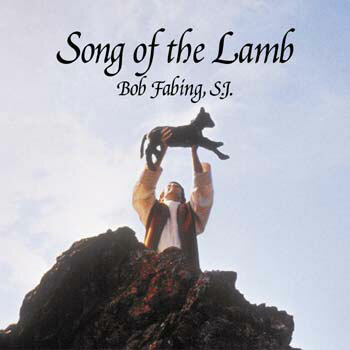 Song of the Lamb includes music for worship and prayer in a variety of styles, including contemporary and gospel. Several songs feature a distinctive Hebrew-folk style, with its familiar rhythms and parts for finger cymbals and tambourines. Based on traditional Hebrew writings, including the Old Testament, the songs touch a number of themes but speak especially of Jesus as the sacrificial Lamb of God. Echoing the psalms, many of Father Fabing''s texts express longing for Yahweh and gratitude for his love, protection and loyalty toward his people. Arranged for a variety of ensembles, the music features parts for cantor and choir, keyboard, guitar, strings, trumpet, flute and percussion. "Children of All Ages" features an excellent children's choir.